If there is one man who knows a thing or two about style, it's fashion consultant and America's favorite fashion mentor, Tim Gunn. In an interview with HuffPost LIVE, Gunn spoke with Alicia Menendez all about the biggest hits and misses from the Oscars along with a special question from StyleList! When asked who his Oscar favorites were, Tim was quick to say he thought Jennifer Lawrence looked flawless and was surprised about the lack of embellishments but, said he, "appreciated her restraint." Tim's biggest surprise of the night? Anne Hathaway in Prada. He remarked that she looks her best in draped garments, in contrast to her Prada dress which was heavily structured and heavily tailored. "That dress would have looked like that on a dress form, it was the impact of the darting in the bust area, and she wasn't going to be able to do anything about that," said Tim. Switching gears, StyleList asked Tim about the biggest spring trend he's most excited about and he answered enthusiastically, "floral prints!" However, Tim did give fair warning that everyone should "be very mindful of scale, especially if you are petite or you're a larger size. You don't want the print to overwhelm you." 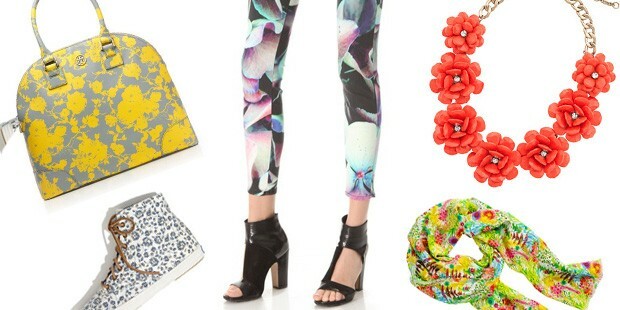 Tim suggested, if you are plus size, you should avoid a big print and opt for smaller florals.